Jules co-wrote, produced and starred in Part Time Fabulous. The film has garnered 8 awards, 2 of which are Best Actress nods for her portrayal of the lead character, Mel. She completed her undergraduate BFA in Acting at the highly regarded University of Colorado at Boulder, where she was awarded the Best Actress Scholarship her senior year. Since moving to Hollywood, she has acted in theater, TV, new media, film and over 40 national commercials. Her first break came when she landed the pivotal role of Catherine Allen in David Fincher’s highly acclaimed 2007 film Zodiac. Bruff’s production company, TIXE fleur Productions, is currently developing 3 features which she will act in and produce in 2012-2014. Please visit www.julesbruff.com for more information. Bjørn Johnson is an award-winning actor, director, producer and acting coach in theater, film and television. He has most recently starred in the stage play FERNANDO, and guest starred in CRIMINAL MINDS, the final episode of ER, MAD MEN and DEXTER. After earning his BA in Dramatic Literature from George Williams College, Bjørn studied acting in New York, apprenticed with B.H. Barry and ran Michael Kahn’s private acting studio for three years. Please visit www.bjornjohnson.net for more information. 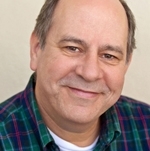 John recently starred as “Barney Cashman” in Neil Simon’s LAST OF THE RED HOT LOVERS at the Pico Playhouse, and also played “Jellaby” in Tom Stoppard’s ARCADIA at the Sierra Madre Playhouse. Earlier in the year he appeared as “Count Whitflower” in the world premiere of LIBERTY INN THE MUSICAL, by Dakin Matthews and B.T. Rybeck. He was seen last fall as “Baylor” in Sam Sheppard’s A LIE OF THE MIND, and played “Bernie Made-off” in last summer’s hit OCTOMOM THE MUSICAL. Other theatrical credits include AMERICAN TALES, THE MAN WHO HAD ALL THE LUCK, THE WILL, and TRIAL BY JURY with The Antaeus Company, THE BAY at Nicewith Andak Stage Co., LOUIS SLATIN SONATA and THE BROTHERS KARAMAZOV with Circle X — also 20 years of theatre work in NYC. TV credits include JUDGING AMY, CROSSING JORDAN, FAMILY LAW, LA DRAGNET, THE GUARDIAN, THE DISTRICT and LAW & ORDER. Recent film work includes MY UNCLE RAPHAEL, PUBLIC ACCESS, A LITTLE STEP, MY CHRISTMAS GIFT, WHISLIN’ DIXIE and NEVER SAY MACBETH. Please visit http://www.imdb.com/name/nm1812493/ for more information. Blake Robbins most recently recurred on ABC’S FLASHFORWARD, and was last seen on NBC’s THE OFFICE playing “Jim Halpert’s” Brother. He was originally seen on the critical favorite OZ for HBO as OFFICER DAVE BRASS, and was most recently seen in the Sony feature THE UGLY TRUTH opposite Katherine Heigl and Gerard Butler for Robert Luketic. Other film credits include RUBBER (Cannes Film Festival), and THE ONLY GOOD INDIAN (Sundance). Other television includes MEDIUM, 24, FIREFLY and ENTOURAGE. With appearances in more than 60 plays Blake has an extensive theater background. He was seen on Broadway in Arthur Miller’s THE MAN WHO HAD ALL THE LUCK. Off-Broadway in the Naked Angels production of Tape and he won the LA Weekly award for Best Performance for PLACEMENT at the Black Dahlia Theater. Please visit www.310demoreels.com/blakerobbins.html for more information. 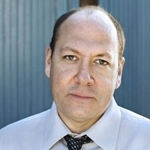 Bruno Oliver is has worked on a number of Indie films and has been seen on TV on THE OFFICE, MODERN FAMILY, PARTY DOWN, HOUSE, ARRESTED DEVELOPMENT and many other shows. 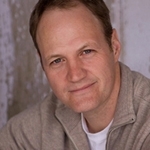 He is an award winning stage actor in Los Angeles and has worked with a number of theatres in Los Angeles, Seattle, Chicago, and various Shakespeare Festivals.